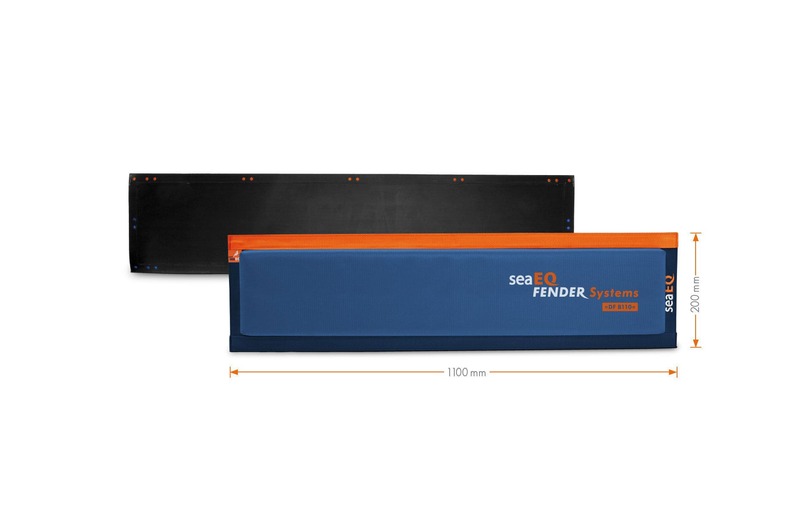 The seaEQ-DF M are mooring fenders - pontoon fenders that protects a large area of your boat. If your boat get in contact with the dock fenders mat DF M, the boat glides along the surface of the mooring bumpers, it will not be stopped and remains controllable. The marina fenders catches the contact well. The design of the dock bumpers provides optimal protection when in contact with the hull. seaEQ - dock fenders »DF« are made of a tear resistant and very durable polyester fabric. The mooring fenders has a very stable PVC-back on the side to the dock. The filling consists of a specially made PE-foam and a special PROTECTOR MAT to the back side. The seaEQ - marina fenders »DF« is finished with a sewn polyester edge all around. After season store in a dark place for longer lasting colour. All »DF« FENDERS by seaEQ are entirely free of metal parts that could damage your boat. 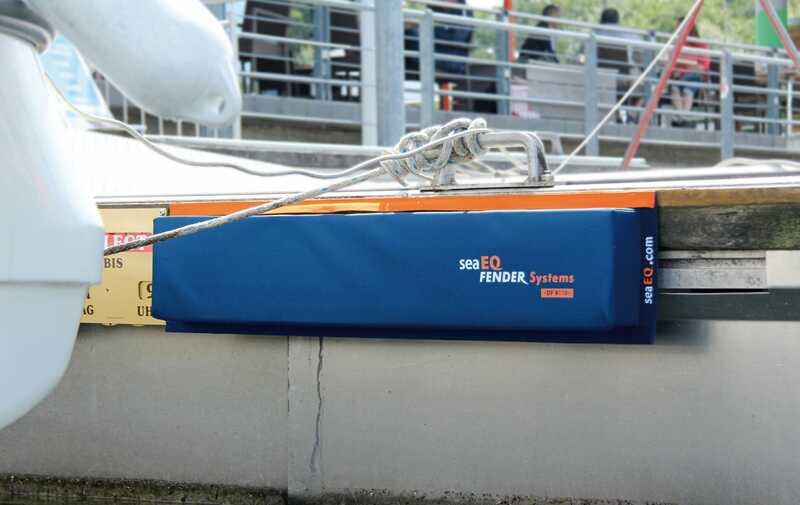 The seaEQ-FENDER-Systems are handy, flexible and can be used time and time again.